After decades of experience, we here at Rollout Prompting feel productions can be broken down into three basic categories: STUDIO, LOCATION, and STAGE. 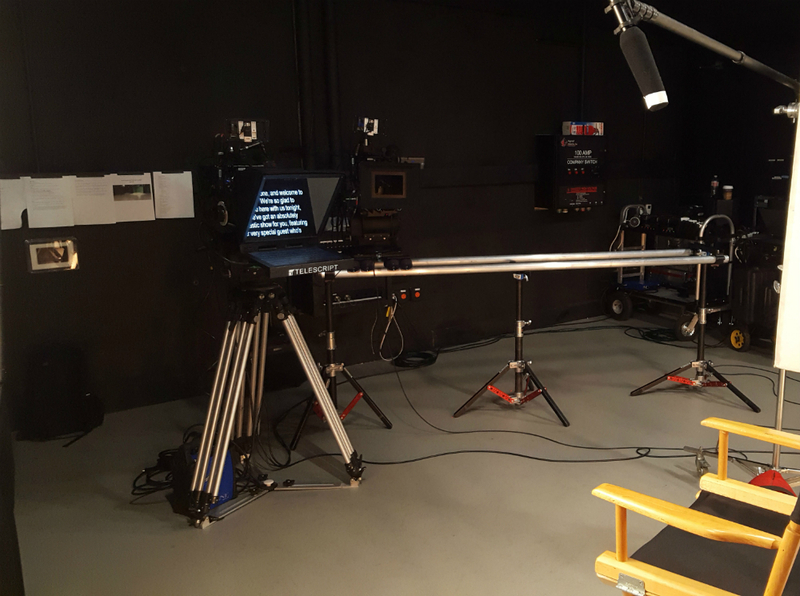 While many shows overlap these categories, each requires its own specialized equipment and specific skill-sets from its crew members, and teleprompting is no different. Having not only mastered the standard requirements of our position, we have also analyzed, discerned, and employ the particular tips & tricks each category of production requires of us to do our job at the highest level, be it Union or Non-Union. Scroll down to see how our Operator/Technicians can enhance your kind of show. Talk Shows, Game Shows, Sports Broadcasts/Webcasts, Pre-shows, News, Backstage Rehearsals… be it in-studio or at a theatre/arena, pre-taped or live, our Operators know the world of multi-camera production and our role in it inside and out, and with the newest and most advanced teleprompting equipment on the market, crafted into setups that integrate seamlessly into any system, we’re ready to keep up with or stay ahead of the demands of any show. Feature Films, Episodic Television, Commercials, Reality Shows, Remote Feeds, Internet Videos, Corporate/Training Videos, Company Announcements… whether on a fully-equipped sound-stage, an office space, or the most remote of locations, Rollout Operators know the secrets to help keep your production moving when your day needs it the most, utilizing specially-crafted configurations, Custom-designed teleprompting systems, and offering Specialty Services you won’t find at other teleprompting companies. Awards Shows, Fundraisers, Ceremonies, Trade Shows, Conventions, Concerts, Musical Performances, Press Releases, Product Unveils… the flow of live events are second nature to us, and for everything from lyrics to last-minute acceptance speeches to PowerPoint Speaker Notes support, no speaker or performer is ever left stranded on stage when Rollout is on your crew.